Expired 2mo ago . Last validated 5mo ago . Used 5 times. 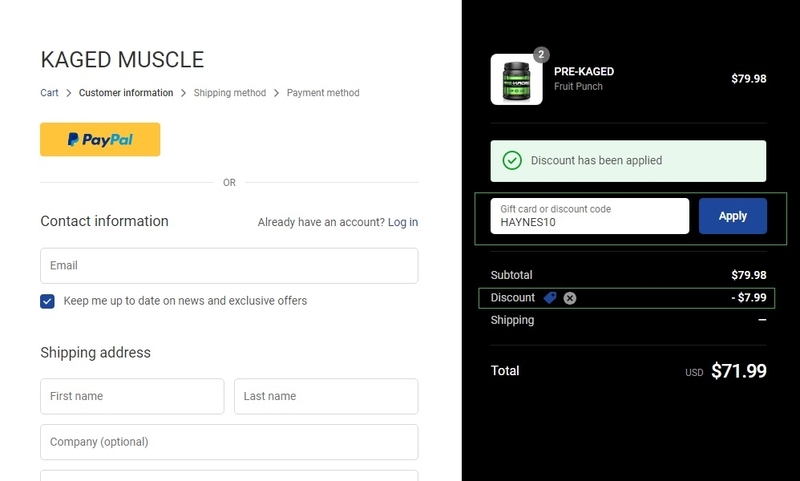 Berta Rodriguez I have tested this code and it works as described, place the code at the checkout of Kaged Muscle and enjoy the discount. 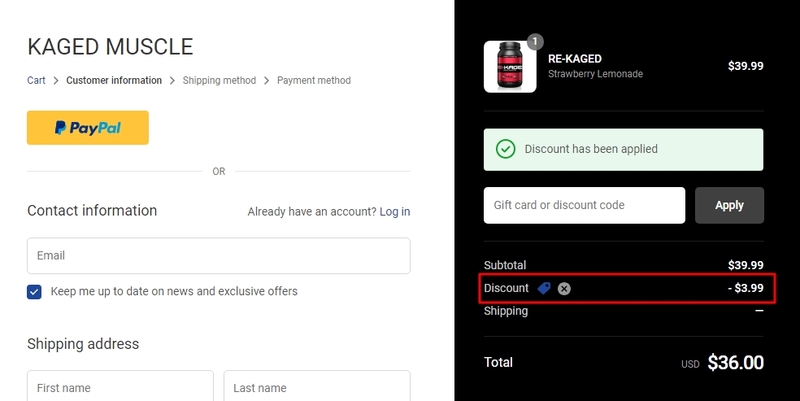 jfranyergac This offer is properly working, all you need to do is copy and paste the code at checkout to get this discount. Elda Aranguren Aponte I am validating that this deal works as described. Enter the code during the checkout process to apply the discount. There may be some exclusions that apply to this deal.